On Wednesday evening we proudly held the first ever Nelsonspirit Future Leaders Crew meeting. 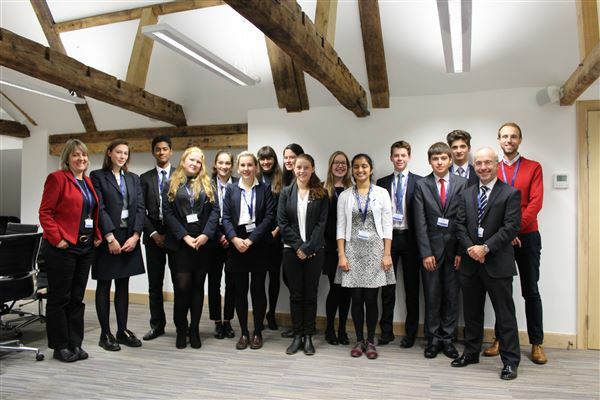 Hosted in the brand new Howes Percival Boardroom we welcomed our thirteen young leaders for discussions and practical sessions on leadership. We were also joined by this months guest speaker, Tim Sweeting (CEO YMCA Norfolk), who spoke on his leadership journey. The level of critical thinking and engagement throughout the session was fantastic. We are excited to continue our forward momentum at the January meeting that will be held alongside the Norfolk Leaders Crew on 27th January.